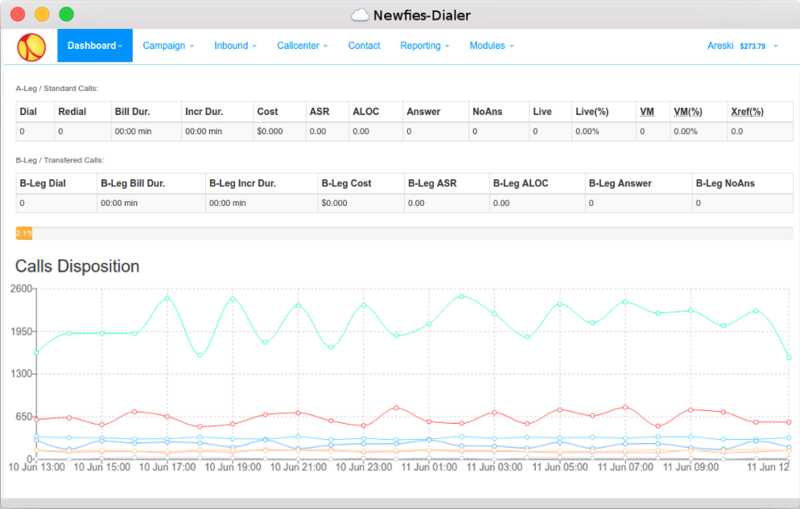 Newfies-Dialer can be used by anyone who has a need for mass outbound calling, voice broadcasting, press one dialing or providing outbound IVR. Some of the potential uses for Newfies-Dialer are listed below. The system may be installed and used by either companies who wish to make calls on their own behalf, or by SaaS (Software as a Service) companies that want to provide bulk dialling facilities to their own customers. The system is loaded up with a list of telephone numbers that can be dialled sequentially at very high rates of calling depending on carrier capacity and hardware, potentially delivering many millions of calls per day. Some examples of the solutions that Newfies-Dialer can provide are listed below. Live lead generation: using “Press One” campaigns are widely viewed as very effective marketing and sales tool. Telecasting: Broadcast marketing or informational messages to customers and clients. Phone Polling, Surveys and Voting: Ring large numbers of people and present IVR options for either polling their opinions, interactive surveys, or taking their vote and record the results. Debt Collection: Customers can be automatically reminded at intervals that they owe money, and an IVR menu presented to talk to the finance department or passed to a credit card capture IVR to pay over the phone. Appointment reminders: Doctors, Dentists, and other organisations that make appointments for their clients can integrate Newfies-Dialer into their appointment systems to pass a message reminding them of an upcoming appointment. Ringless Voicemail: An effective marketing technique of dropping a voicemail onto a prospect’s phone without making their phone ring. Dissemination of Information by Phone: Newfies-Dialer was originally designed to call large numbers of people and disseminate medical and health advice via the ubiquitous cellphone in 3rd world countries where often, literacy levels are low. Mass Emergency Broadcasting: Where there is a necessity to warn large numbers of people in a short space of time, such as weather warnings. Subscription Reminders and Renewals: Where a company sells an annual subscription for a product or service, Newfies-Dialer can be configured to dial the customer, remind them that the subscription is due, and optionally pass the call into a call centre or into a credit card payment IVR. Debt Management and Control Solution: Using Newfies-Dialer as part of your debt management and collections system can help you interact with your customers, collect payments, chase debt, reduce staff head-count, or help existing staff work more efficiently. Outbound Call Conferencing: An effective way of joining people up into a conference.